I love a good concept restaurant. I eat out a lot so it's nice when places offer something a little extra than just your standard sit down a la carte. Vapiano - the restaurant I was invited for the purpose of this review - has it's own clever little concept in the form of its unique ordering process. 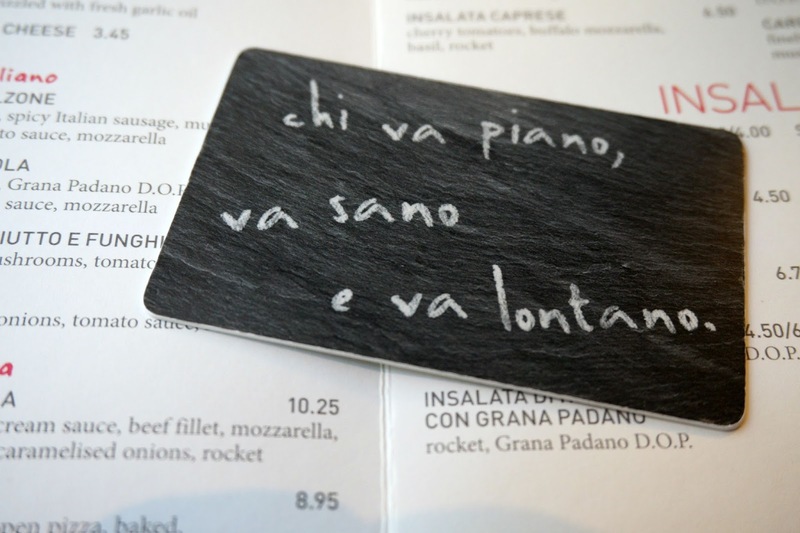 When you walk in, the hostess hands you over a'chip card' which you're to use to order all your food. There's no waiting staff, you literally grab a free spot, head up to the open plan kitchenette area and place your order with the chefs. They then cook your food in-front of you and charge the meal to your little swipe card, which you present back to the hostess to pay for when you leave. Simples. I have to admit, I'd never really heard of Vapiano before this review opportunity. But, they've been open in London since 2008 and have sites in Bankside, Soho and Great Portland Street. 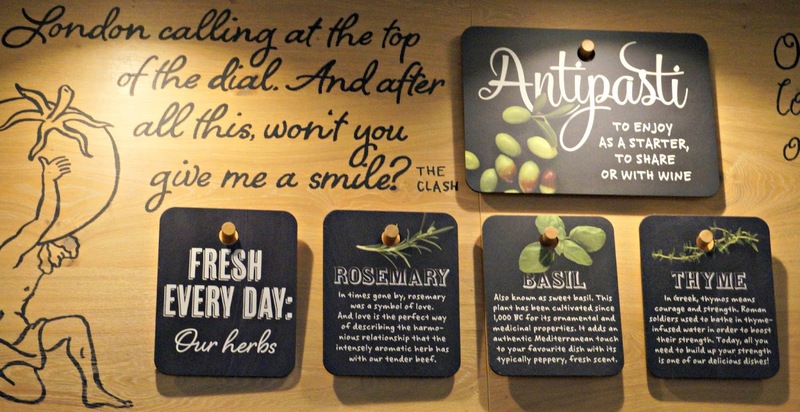 We tried out the one on Wardour Street. As we were here for a review, Tom and I were allowed to try a starter, main, dessert and drink each so we found ourself a table by the window and got to work planning our assault. 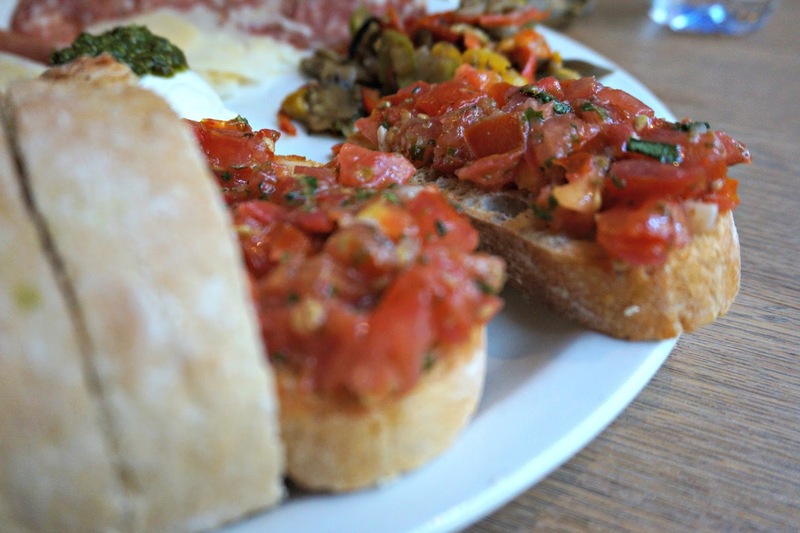 I love sharing dishes so we went for the 'piatto antipasti' as a starter. A giant plate pilled up with Parma ham, salami, pepperoni, roasted vegetables, Parmesan, buffalo mozzarella with homemade pesto and the most delicious tomato and basil bruschetta. 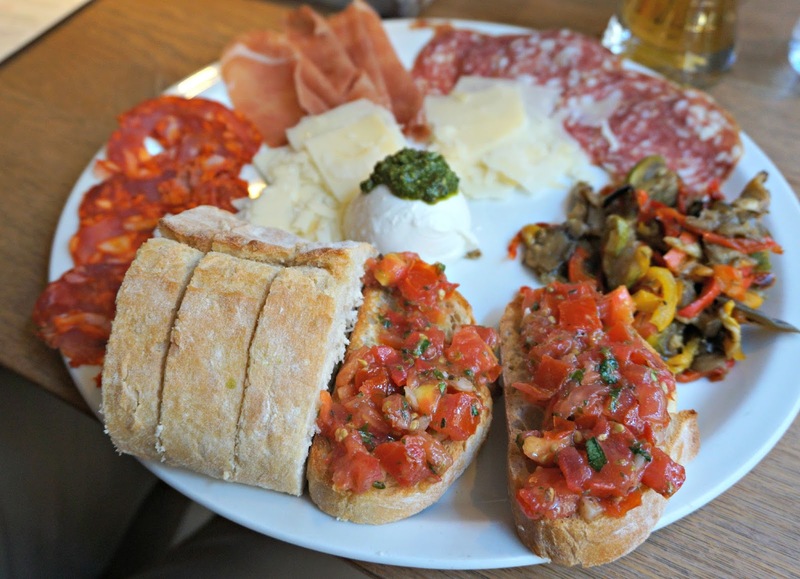 The bread at Vapiano is incredible and they give you so much - perfect for piling the meat and cheese on. We also shared a 'Insalta Reef 'n' Beef'. 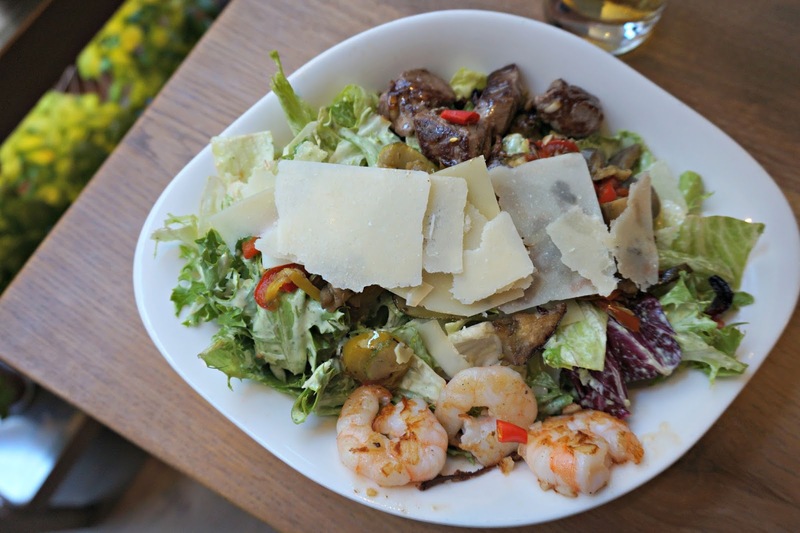 A meaty salad with grilled chunks of beef fillet and king prawns, grilled vegetables, cherry tomatoes, spring onions, lettuce and Parmesan. 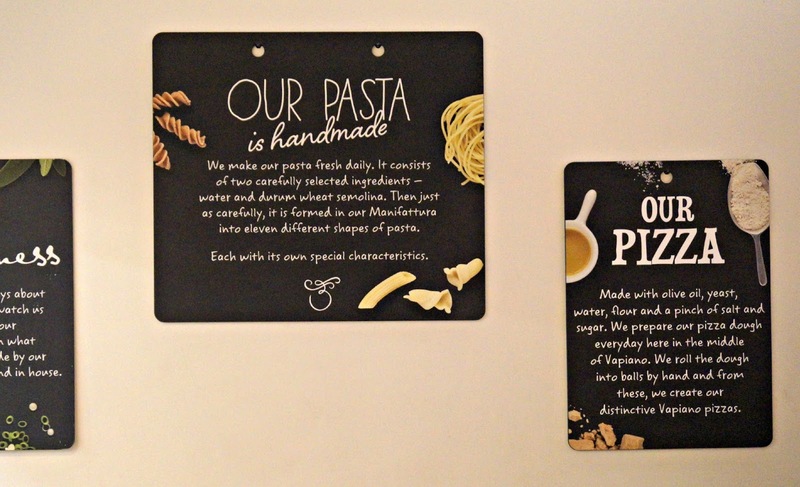 All the pasta dishes can be customised to order. 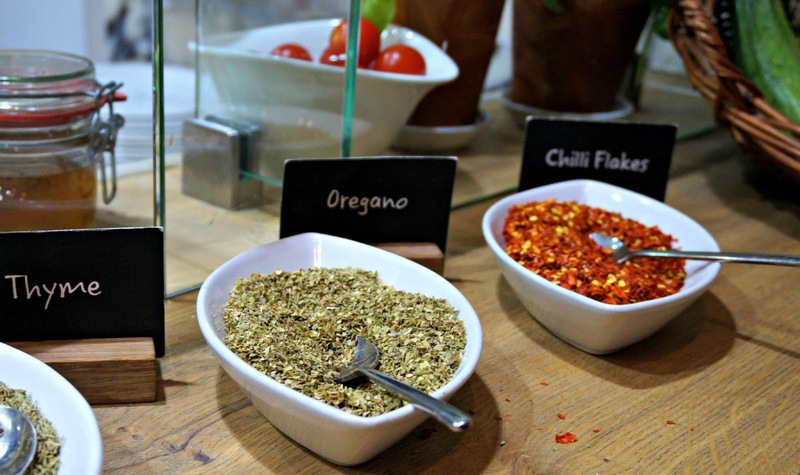 You pick your sauce, pasta shape and any extra ingredients then the chef puts it all together in front of you. I went with pesto rosso'. 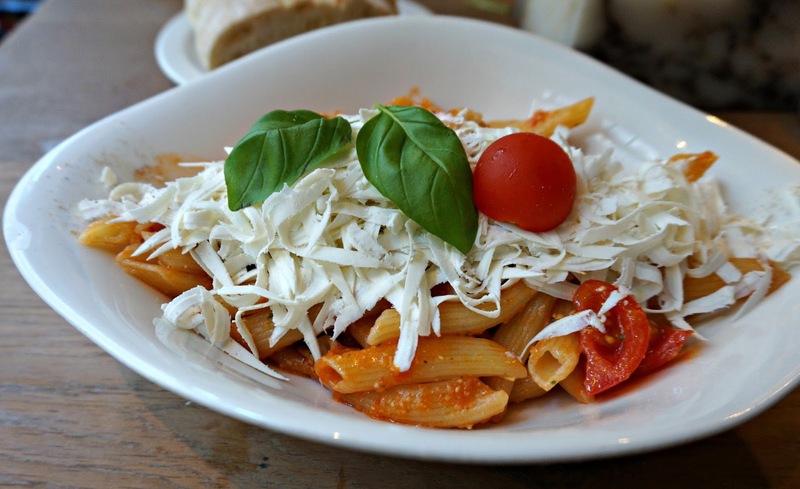 Sun-dried tomatoes, tomato pesto, ricotta cheese, pine nuts and extra chilli on penne pasta. Plus the biggest serving of cheese imaginable! Like a hug in a bowl. 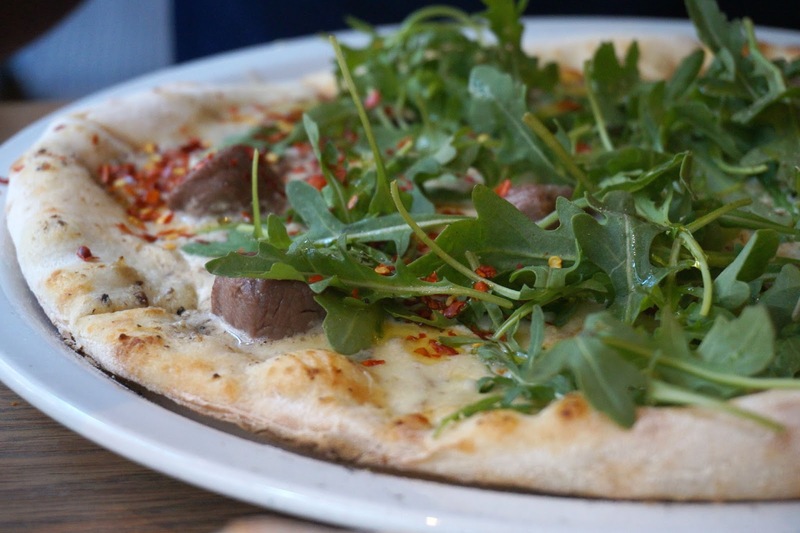 Tom went for the 'boscailoa' pizza - a decadent mixture of beef fillet, mushroom cream sauce, mozzarella, gorgonzola, caramelised onions, extra chilli and rocket on a light crispy base. For the first time in our lives, Tom and I were too full for pudding - i blame it on all that delicious bread. 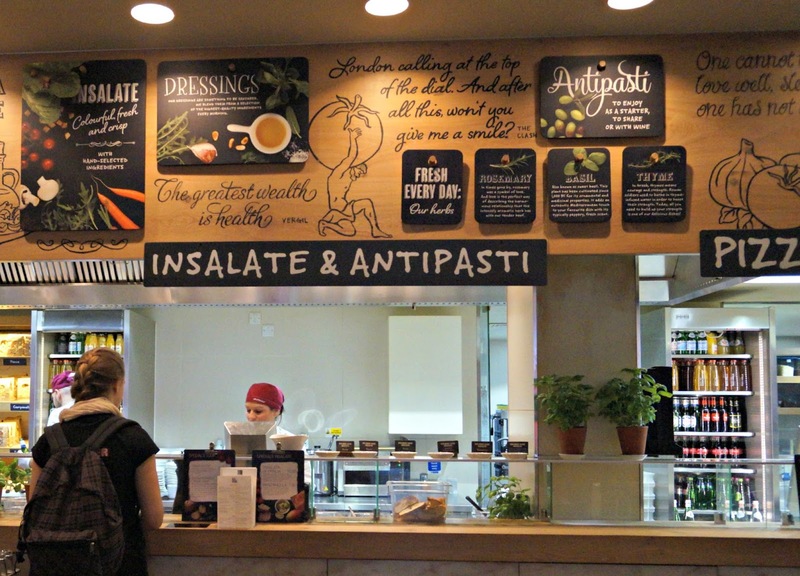 Overall we really enjoyed Vapiano. 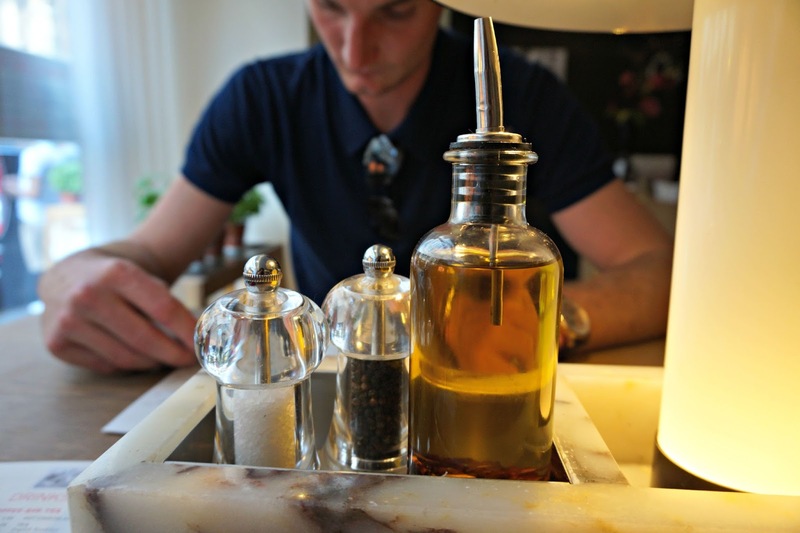 Its all about good, honest food cooked in front of you - I loved how fresh everything tasted. 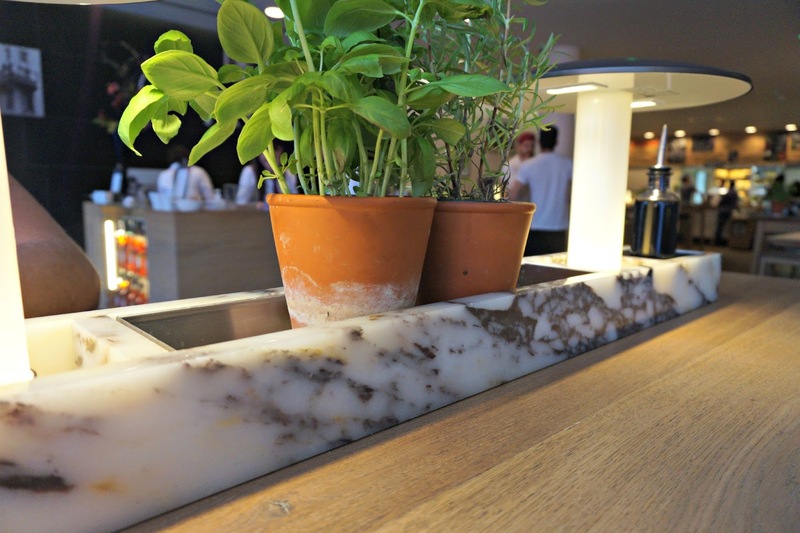 I'd recommend heading to Vapiano for a nice leisurely lunch at the weekend but I can imagine it gets very busy during the week. Don't worry about reservations, literally just turn up and get stuck in!